This entry was posted on November 6, 2015 by Tintean Editorial Team/fdg, in emigration, Features, feminism, History, Of Literary Interest, Poetry and tagged Aborigines and Irish, Irish and Empire., Irish poetry, Irish-Australian poetry. Bookmark the permalink. Eliza Hamilton Dunlop (also published under her initials, EHD) has recently gained recognition as a significant colonial Australian poet and ethnographer. Born in 1796 in Co Armagh, she died in 1880 in Wollombi, New South Wales. She was married twice, first to James Sylvius Law, by whom she had a daughter; Mary Sophia Georgina Law and then to David Dunlop with whom she had four children. Facing financial difficulties, they emigrated aboard the Superb, arriving at Port Jackson in 1838. By 1839 David Dunlop had been appointed police magistrate and protector of Aborigines at Wollombi and Macdonald River, and held office until 1847. Eliza Dunlop contributed poetry to a number of colonial newspapers, and was also a playwright, a writer of short stories, and a passionate advocate of human rights with a keen interest in politics. Her great grand-daughter, Margaret De Salis notes that this interest included her numerous letters to Alderman William Taylor Copeland, who was active in Ireland as a Whig politician. I want to delineate Dunlop’s importance as an early nineteenth century Irish-Australian woman writer and consider some aspects of the political relevance of her heritage in her poetry about British colonial rule in Australia. Land of my homage, hail! Hath left his ocean bride. Comes forth, in regal pride. The sea! The sea, and heaven! To catch thy scented sighs. In SAUGUR’S sickly jungle met? All come before me now! Tall Aloes crown the rocky steep. This poem juxtaposes landscapes of Ireland, India and South Africa. 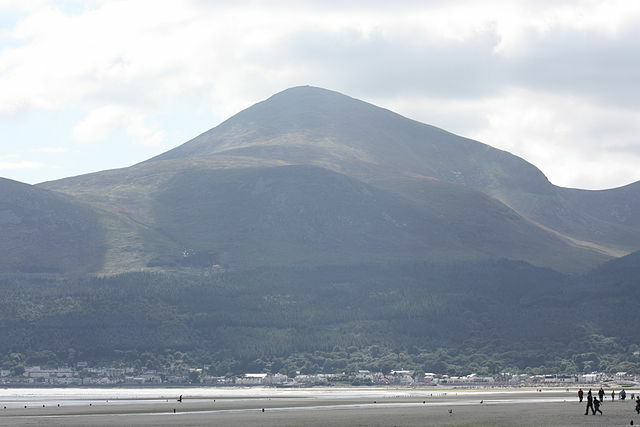 Dunlop reiterates the line ‘In solitude I stand’ in the three locations: Rostrevor Mountains in Ireland, ‘beside Cloch-mhor,’ India, and South Africa, giving a sense of the speaker as a culturally isolated traveller, ‘A stranger on my natal shore / And this, my father-land’ (Dunlop Dublin 42). This line reflects Irish nationalist feelings of what Stephen Behrendt calls ‘being neither British nor Irish,’ stemming from the colonisation of the Irish and increasing hardship for them following the Act of Union (Writing Community 246). Neither this poem, nor her others, can be properly understood outside of the context of Irish Romantic women’s poetry. Claire Connolly pointed out that, ‘Ireland emerged from this period with a renovated reputation as a naturally distinct and national culture; this in turn fostered and supported new theories of nationality and nourished the cultural nationalism of the 1830s and 40s’ (408). Dunlop’s poetry reflects her concerns with both gender and nationalism. It should be remembered that in its original publication, ‘The Aboriginal Mother’ was the fourth poem in the series ‘Songs of an Exile’ which Dunlop published in The Australian from October 1838. It harmless passed by thee! To flee! My babe— but wither? Without my friend— my guide? Reply – the dead, the dead! To tell, to tell of the gloomy ridge! These poems are thematically interrelated and cover personal accounts of emigration, motherhood, and nationalism. ‘The Aboriginal Mother’ was written in response to the Myall Creek Massacre of 1838, and is still cited with admiration by Aboriginal writers to this day. The massacre, by no means the worst of Australian war crimes against Aboriginal Australians, caused great controversy in Australia as it was the first where white men were charged and convicted for murdering black men, women and children. Placing the Aboriginal mother not only as the heroine but also as a human being, as capable of passionate love for husband and children as a white woman, was a truly radical thing to do in 1838 and attracted a great deal of criticism for Dunlop (see below). The poem which followed ‘The Aboriginal Mother’ was ‘The Irish Mother,’ which would seem to be a song addressed to Dunlop’s eldest daughter Mary Georgina, from her previous marriage to James Law. According to Gunson’s entry on Dunlop in the Australian Dictionary of Biography, ‘They arrived at Port Jackson in February 1838 in the Superb with the four children of this marriage’ (second italics mine). This suggests that Mary Georgina Law did not travel with the rest of the Dunlops. However, there are records of Mary Georgina Law as an artist in Australia, in the Dictionary of Australian Artists Online. So it seems that she joined them, perhaps later. That was spun round the rainbow’s band. Mo VARIA astore- we meet no more! But the pulso of my heart’s with thee. Come, like music in a dream! Like the gush of the summer stream. That my heart sends forth to thine. Mo thruaidh! Mo Chreach! Och on! The poem was clearly popular: originally published in The Australian under her initials, EHD, ‘The Irish Mother’ was reprinted in Charles Gavan Duffy’s Ballad Poetry of Ireland, in which Duffy wrote ‘I found this touching little ballad in an Australian newspaper, long before I contemplated visiting that country, and was charmed with its fresh feeling and grace. I have not been able to discover the writer’s name. 1866.’ (p 78). The title was changed to ‘The Emigrant Mother’. It was subsequently also reprinted in Australian papers from this source. Dunlop clearly intended this poem to be read alongside ‘The Aboriginal Mother,’ suggesting her personal experience as an Irishwoman as a factor weighing heavily in her ability to empathise with the sufferings of the displaced Aboriginal Australians and the violence done to them. Nini Rodgers notes that Daniel O’Connell ‘frequently claimed a long anti-slavery tradition for Ireland, quoting the Council of Armagh 1171 which prohibited Irish trading in slaves…He also announced that the one benefit brought by the Union was the anti-slavery attitudes of Irish MPs from all parties; their presence enabled the English to abolish the trade in 1807, slavery itself in 1833 and apprenticeship in 1838’ (p 259). Another personal reason for her interest in Aborigines is perhaps that she was the wife of David Dunlop, the Protector of Aborigines at Wollombi. But, however much the idea is to be deprecated, had its origin in the hope of awakening the sympathies of the English nation for a people rendered desperate and revengeful by continued acts of outrage. Painfully sensitive of great literary demerit; and of a deficiency of poetical imagery, but above all in having such mal-a-propos taste as to select so inexpedient a subject…The author did hope that even in Australia the time was past when the Press would lend its countenance to debase the native character or support an attempt to shade with ridicule ties stronger than death, which bind the heart of woman, be she Christian or savage. This excerpt shows that as early the 1850s Dunlop was not only aware of, but actively opposed to, the ‘racially and ethnically exclusive construction of “Australianness” and of the “native” (that is, white Australian born)’ which Susan Sheridan notes as an important development of the 1890s (Faultlines xiii). Harpur was an early proponent of this masculine tradition, claiming himself as the first native-born Australian poet, and publicly criticising his rivals as ‘not even Australian born!’ in what Dixon notes was ‘purely personal abuse’ (415). 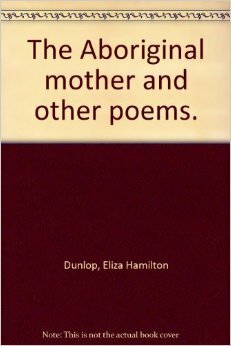 Indeed, Dunlop’s choice of the title ‘Native Poetry’ for the verses she transliterated from the local Aboriginal people, may very well have been intended as a tongue in cheek attack on Harpur and this discourse. Dunlop’s position also shows awareness of the gendered nature of the divide between ‘native’ and Old World literary schools in Australia. This would become the dominant nationalist masculine literary tradition, which as Sheridan has noted, ‘excluded women and all those un-Australian cultural phenomena attributed to the feminine’ (Faultlines 31). Sheridan specifically points to Furphy’s Such is Life in regard to this, stating of the male tradition that ‘in much literary-nationalist critical discourse, popular forms of Romantic fiction— no matter whether they looked back to Walter Scott or Jane Austen or to Gothic and sensationalist fiction— were marginalised. And ‘feminised’ at the same time’ (Faultlines 31). This gendered approach to Romanticism in Australian poetry was certainly evident in the much earlier writing of Dunlop. 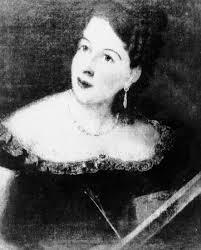 Katie recently completed a PhD at Deakin University, rehabilitating the reputation of Eliza Hamilton Dunlop.